Walter P. Reuther Library (32013) Labor and Civil Rights Illustration, The Public Employee, 1968. (32013) Labor and Civil Rights Illustration, The Public Employee, 1968. 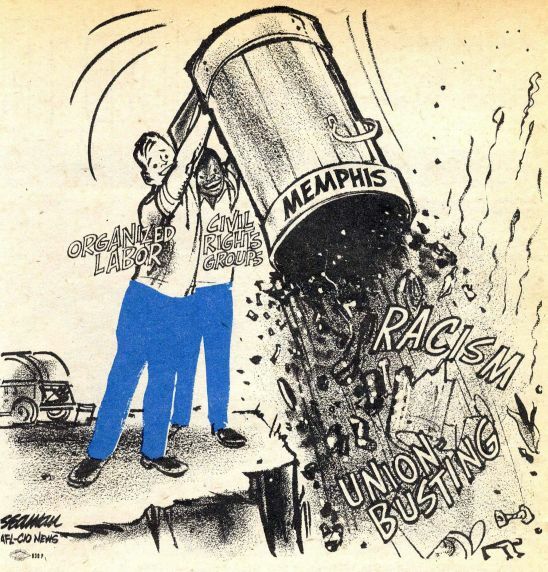 This cartoon celebrating the partnership between organized labor and civil rights groups in Local 1733’s sanitation worker strike was originally published in Public Employee in April, 1968.